Congratulations Danielle Tauro (Class of 2007) on being selected to the Shore Track Coaches Hall of Fame on Sunday, June 9, 2018. Upon her graduation from Southern, Danielle competed at the University of Michigan. Thank you for all you have done for Southern Regional! 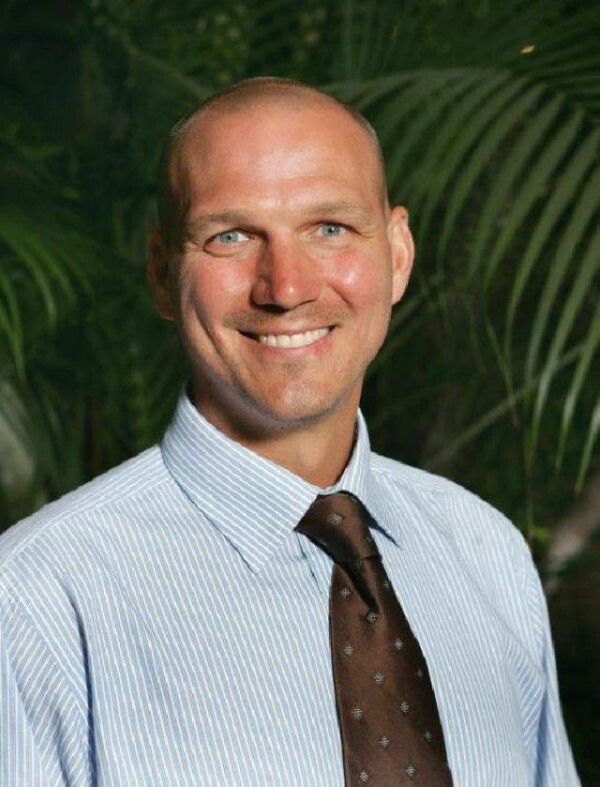 Congratulations Coach Brian Zatorski (current SRMS assistant principal) on being selected to the Shore Track Coaches Hall of Fame on Sunday, June 9, 2018. A well-deserved honor. Thank you for all you do for Southern Regional! 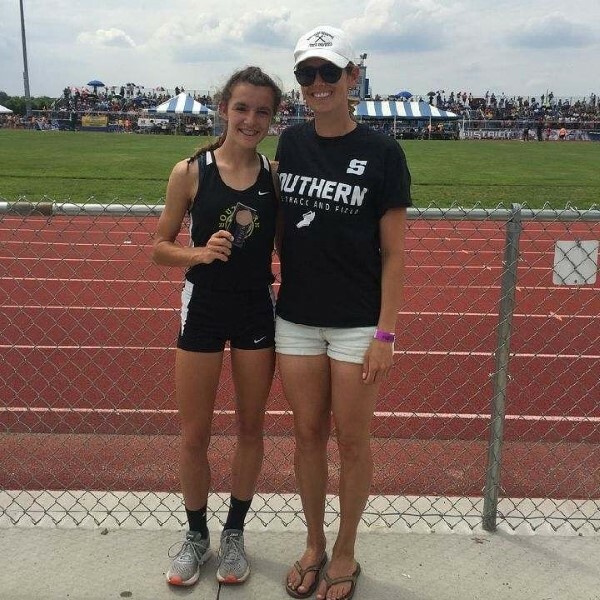 Congratulations Southern Regional Girls Track & Field runner Karagan Bulger (10th Grade) on placing 4th in the 400m hurdles at the NJSIAA Meet of Champions at Northern Burlington High School on Saturday, June 9, 2018. 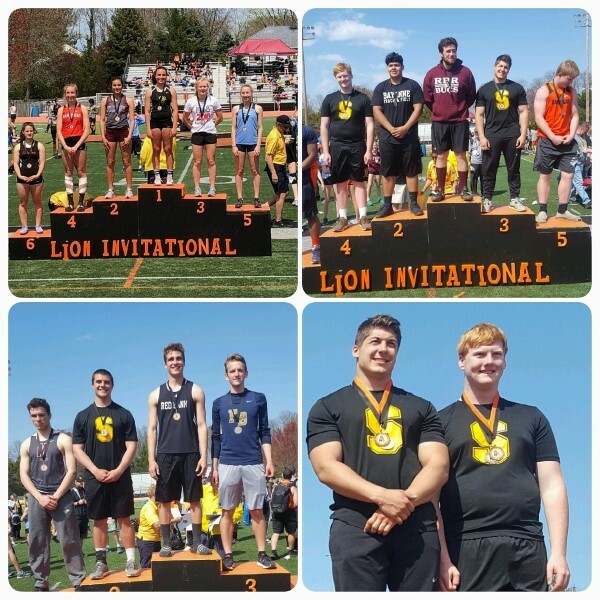 Pictures of some of our medal for Southern Boys and Girls Track at the Lion Invitational on Saturday, April 28, 2018. 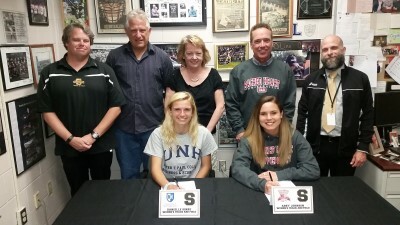 Congratulations Southern Regional Girls Track & Field seniors Danielle Sinko and Abby Johnson on their commitments to continue their education and track careers. Congratulations to the Southern Regional Girls Track & Field team on winning the NJSIAA State Group IV Championship on Saturday, June 4, 2016. Congratulations Southern Regional Girls Track & Field on winning the 2016 NJSIAA South Jersey Group IV Championship. 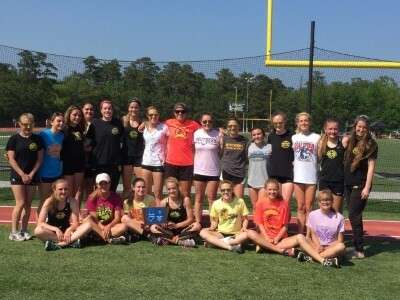 Congratulations to the Southern Regional Girls Track & Field team on winning the Ocean County Championship on Saturday, May 14, 2016 and then winning the Shore Conference "A" South Title on Tuesday, May 17, 2016 by defeating TR South & Brick Twp. With the win, the Rams improve their dual meet streak to 68 wins; undefeated in "A" South the last 10 years. Congratulations to the Southern Regional Girls Track & Field team on placing 5th in the distance medley relay race at the 122nd annual Penn Relays at the University of Pennsylvania in Philadelphia, PA.
Congratulations Southern Regional Alum Chelsea Vaughan earned All-American honors in the pole vault for the fourth time in her career (two outdoor, two indoor) at the NCAA Championships last week. 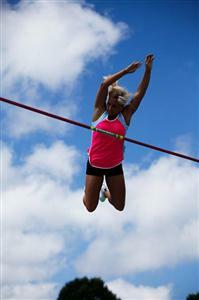 Vaughan vaulted 3.80 meters to place fifth out of 22 competitors at the meet. She has qualified for All-American status by finishing in the top eight in all four of her NCAA appearances so far. 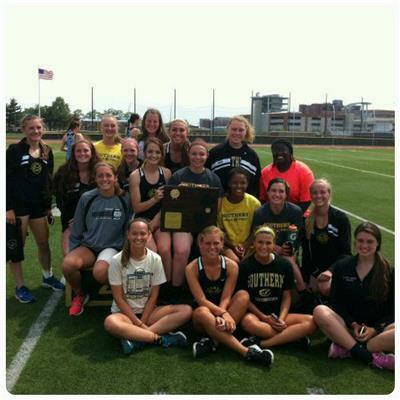 Congratulations to the Southern Regional Girls Track & Field team on winning the 2015 "Overall" Shore Conference Championship on Saturday, May 16th at Neptune High School. Congratulations to the Southern Regional Girls Track & Field team on winning the 2015 Shore Conference "A" South Division Championship. 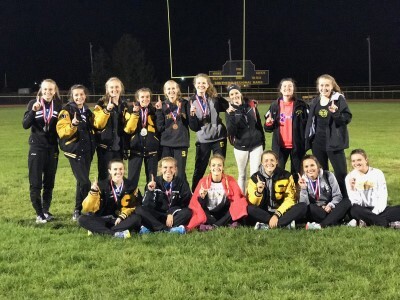 On Tuesday, April 21, 2015 the Southern Regional Girls Track & Field program posted a 124-16 victory over Jackson Memorial. With the victory, the Rams celebrated Coach Brian Zatorski's 100th career win. Congratulations and Good Luck the rest of the season. 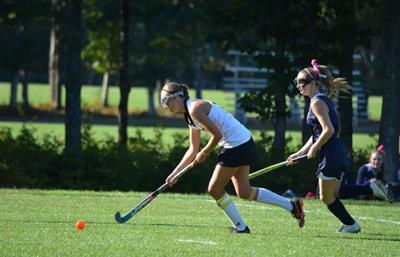 Congratulations to senior Student-Athlete Lizzy Schmoll on being selected as the 2015 Directors of Athletics Association of New Jersey (DAANJ) Frank Baldachino Scholarship Essay Award winner. 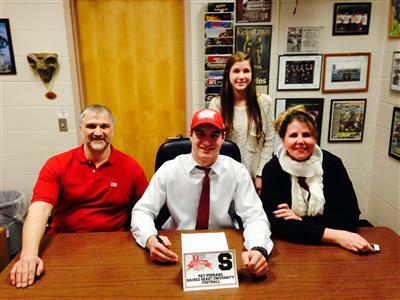 Congrats to Southern Regional (3 Sport Athlete) Pat Ferarro today on signing his National Letter of Intent with Sacred Heart University for Football. Attached are the 2015 Boys and Girls Track & Field Classifications from the NJSIAA. 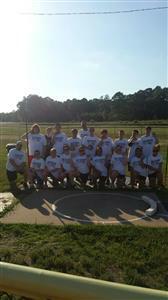 Thank you & Great job to all Athletes that attended the 1st Annual Southern Throws Camp this week. 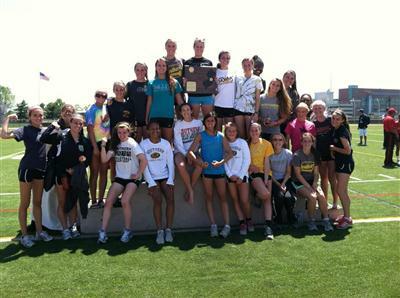 Congratulations to the Southern Regional Girls Track & Field program on winning the 2014 NJSIAA South Jersey Group IV Championship. Congratulations to Southern Regional Alum Chelsea Vaughan (Richard Stockton College) on being named All American in the Pole Vault event for the NCAA Outdoor Track & Field season. Congrats to the Southern Regional Girls Track & Field team on winning the 2014 Shore Conference "Overall" Title. 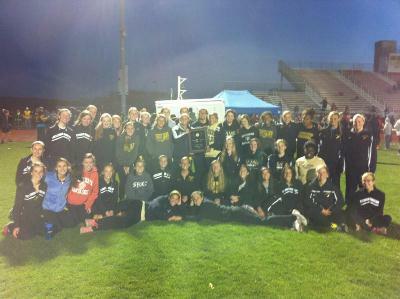 Congratulations to the Southern Regional Girls Track & Field team on winning the 2014 Ocean County Championship. 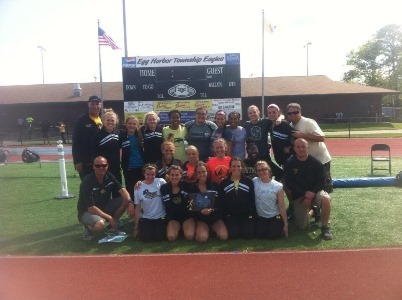 Congratulations to the Southern Regional Girls Track & Field Team on winning the 2014 Ocean County Relays. Congratulations to the Southern Regional Girls Track & Field program on their signings today. 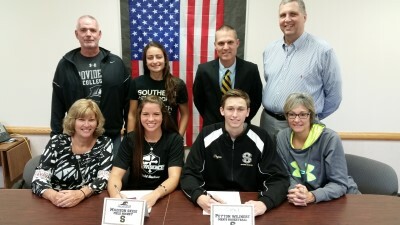 3 student athletes signed their letter of intent. All 3 student athletes will continue their education and track careers. 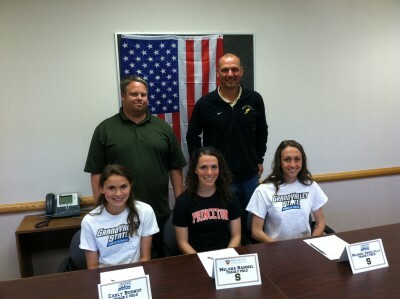 Melana Hammel - Princeton University, Carly Burnup - Grand Valley State, MI & Bri Angellella - Grand Valley State, MI. 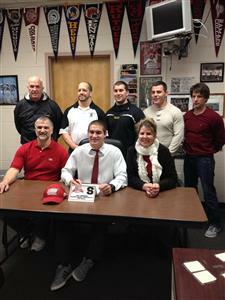 They are accompanied in the photo by Assistant Coach Jason Church & Head Coach Brian Zatorski. Good Luck Girls! 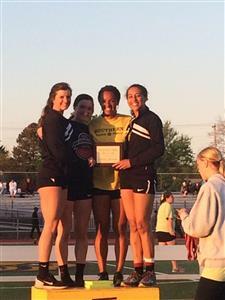 Congratulations to the Southern Regional Girls Track & Field team on winning the Lion Invitational at Middletown North High School on Saturday, April 26, 2014. 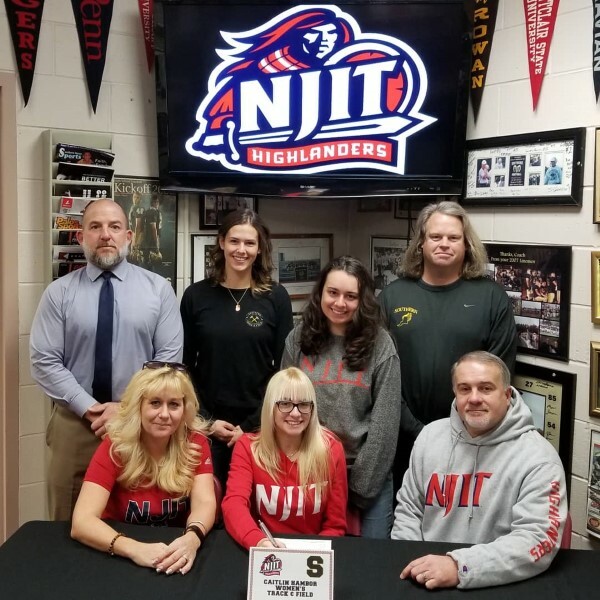 Congratulations to Southern Regional 3 sport senior athlete Melana Hammel who was chosen as a News 12 New Jersey Scholar Athlete of the Week for the 2013-14 School Year. Melana will attend Princeton University in the Fall. Attached is her interview that aired on News 12 New Jersey. Congratulations to Southern Regional alum/ University of Michigan Track & Field athlete Jillian Smith (Class of 2009) on winning the Big Ten Conference “Medal of Honor”. 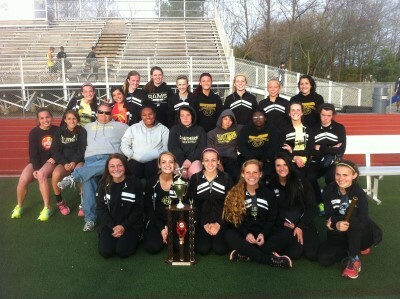 Congratulations to the Southern Regional Girls Track & Field team on winning the 2014 Art Madric Invitational in Caravel, DE on Saturday, April 19th. 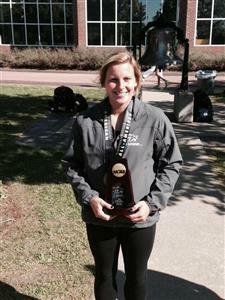 Congrats Southern Alum Chelsea Vaughan (Class of 2012) on finishing 4th in Pole Vault at NCAA Div. III Indoor Track Championships and being named All - American for Richard Stockton State College, NJ. 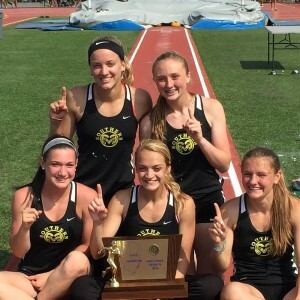 Congratulations to the Southern Regional Girls Track & Field Team on winning the 2013 Spring Track Ocean County Championship on Monday, May 13th at Jackson Liberty High School. 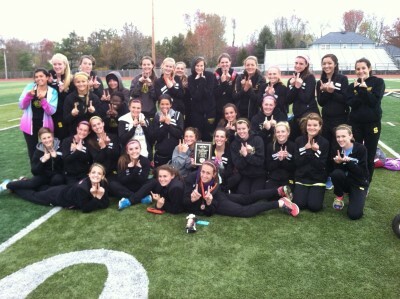 Congratulations to the SRHS Girls Track & Field team on winning the 2013 Shore Conference “A” South Championship. This marks the 7th year in a row the team has won the title. 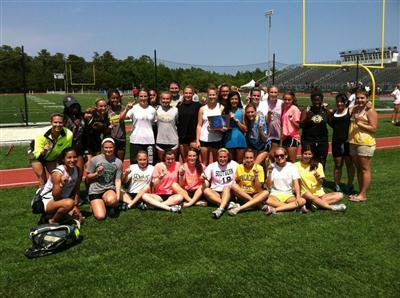 Congratulations to the SRHS Girls Spring Track team on winning the 2013 Lion Invitational at Middletown North on Saturday, May 4, 2013. Brianna Angellella was named MVP. Southern has won this invitational 10 years in a row. 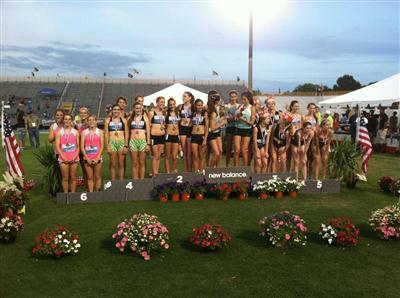 Congratulations to the Southern Hammer Track club on an outstanding showing at the New Balance National Meet in Greensboro, NC. 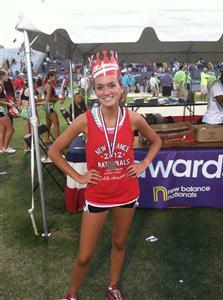 Congratulations to senior athlete Chelsea Vaughan on winning the NJSIAA Meet of Champions title in the Pole Vault event on Monday, 6/11/12 at Old Bridge High School for outdoor track. 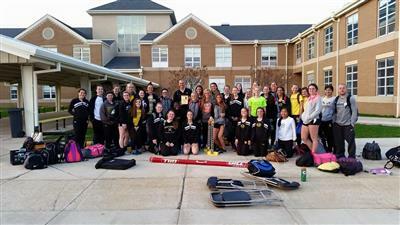 Chelsea won both the Indoor and Outdoor, Track & Field MOC championship this year in the Pole Vault. Attention all Boys and Girls Track & Field athletes that are going to Meet of Champions today. The meet has been postponed to Monday, 6/11/12 at 5 pm. There will be a 1:45 pm bus. Attention all Southern Girls Track Athletes the banquet has been moved from Monday, 6/11/12 to Tuesday, 6/12/12 at 1 pm. There will be a 12:45 pm bus. Seniors are to complete graduation practice before going over to banquet. 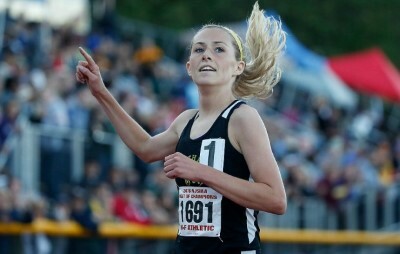 Attached is a video taken by Press of Atlantic City's sports writer Mike Mc Garry on Southern's clinching 4 x 400 race & interview with senior Dana Ohlson (Long Jump/High Jump champ) for the 2012 NJSIAA SJ Group 4 championship. 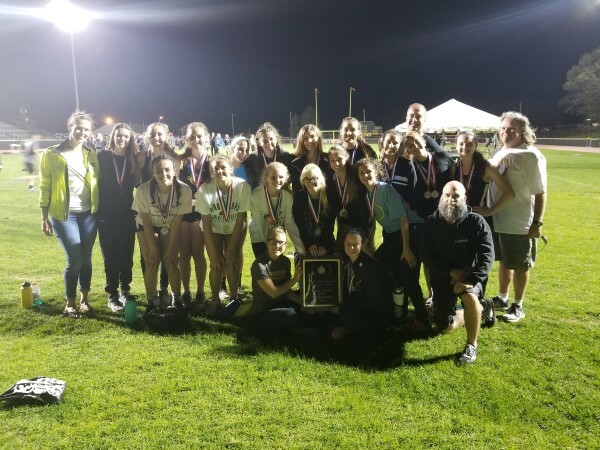 Congratulations to the Southern Regional Girls Track team on winning the NJSIAA South Jersey Group 4 Championship this past weekend at Egg Harbor Twp. High School. Special Thank You to our SRHS Girls Track alumni who supported us at the event. Congratulations to the Southern Regional Girls Track Team on winning the 2012 Overall Shore Conference Championship Meet at Neptune High School on Saturday, May 19, 2012. The Girls Team has won the championship for the 6th year in a row! Congratulations to the Southern Regional Girls Track team on winning the 2012 Ocean County Championship meet on Saturday, 5/12/12 at Jackson Liberty High School. Congratulations to the Southern Regional Girls Track team on winning the 2012 Lion Invitational Track meet held at Middletown North High School on Saturday, April 28th. The Rams were sparked by Sr. Dana Ohlson who set a new school & meet record in the Long Jump with a jump of 18-10 and she was named the meet MVP. 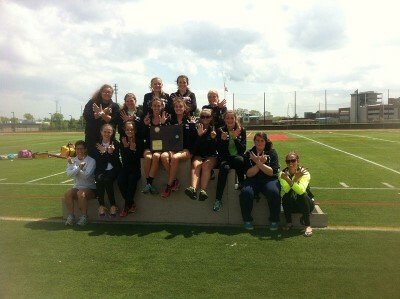 Congratulations to the SRHS Girls Track & Field team on defeating TR South 104 to 36 and winning the 2012 Shore Conference "A" South Championship. Congratulations SRHS Girls Spring Track team on winning the "Comet Relays" at Hackensack High School on Saturday, April 14, 2012. 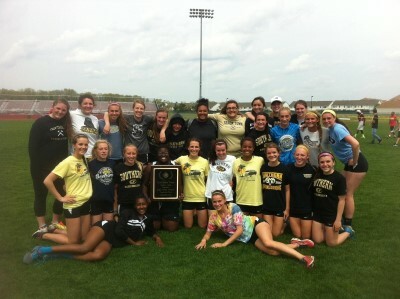 Congratulations to the SRHS Girls Track team on winning the 2012 Georgian Court University Relays on Saturday, April 7th. 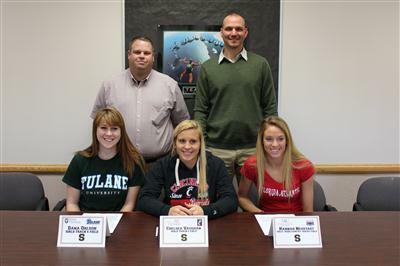 Hannah Neustadt (Florida Atlantic), Chelsea Vaughan (University of Cincinnati) and Dana Ohlson (Tulane University) are pictured with Head Coach Brian Zatorski and Asst. Coach Jason Church. 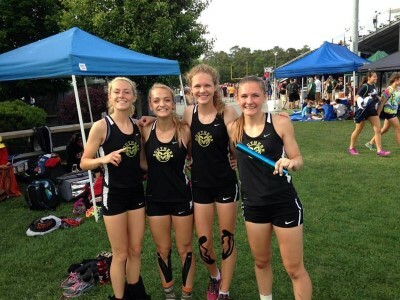 The Southern Regional Girls Track Team has built a reputation with its competitors as a talented, successful and hard working team. In the past two years alone, the team has enjoyed an A-South championship, had 18 individual Ocean County champions, 7 Shore Conference champions, 6 NJ State Sectional champions, 2 NJ State Group 4 champions and 8 All-Americans. With a large core of talented athletes currently involved, the Girls Track & field team should enjoy continued success in the years to come.